The latest release from Wind Horse Records dips once again into India’s fertile deep house movement, this time exposing Mumbai-based DJ / producer Troja to an awaiting global audience. The Shanti EP, consisting of three top notch house tracks, should handily further this goal. “Shanti” leads the three originals on the EP, instantly mesmerizing with its ringing sitars and vocal chants led forward by a heartbeat-like rhythm. Tabla percussion flourishes and chiming synth melodies add to the deep house cut’s eastern appeal. This sound is expanded with “Ghats”, which adds mystical flute lines and churning layers of percussion to the dance floor equation.The track builds to an exotic bounce as plucked strings and a rising synth drone work to charm the listener. “Mantra” features a deeper, punchier rhythm and intriguing vocals of a magical persuasion. The hypnotic combination of the languid bass line and sparse beats make this one an after-hours treat for intimate venues. Three fantastic remixes compliment Troja’s addictive originals. 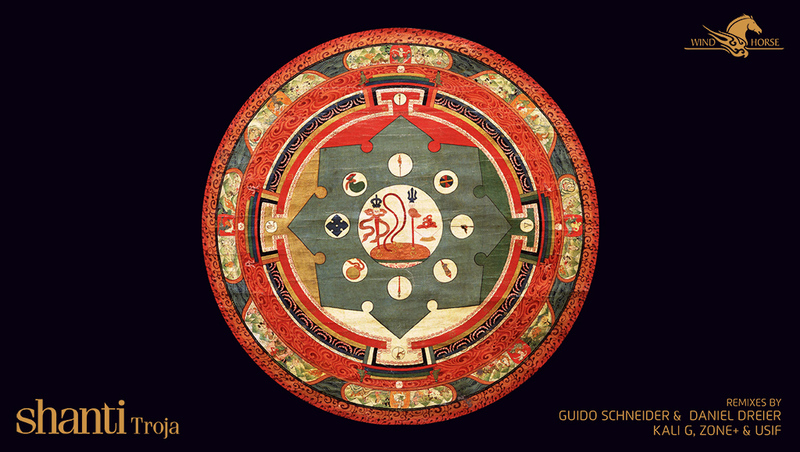 Berlin duo Gudio Schneider and Daniel Dreier (Highgrade, Moon Harbour) present their ‘Aztecs Explore India’ remix of “Shanti” which blends the original’s textures into a 14 minute masterwork. The voices and instruments fade in and out of the mix while the remixers’ solid house rhythm and melodic arpeggiation lines confidently anchor the production. 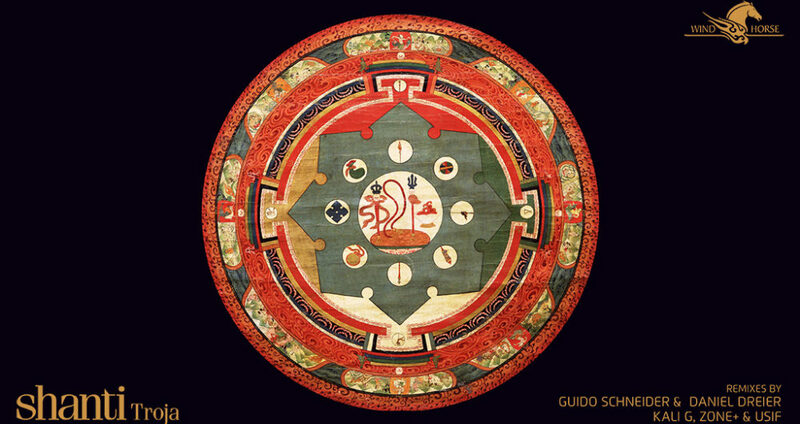 Wind Horse Records’ own Kali G also tackles “Shanti”, going for a dubbier treatment that plays with splashes of percussion and echoed instrumentation to create a satisfying aural journey. Another duo, Bahrain’s Zone+ & Usif, are on hand for a version of “Ghats” that may be the deepest effort on the EP. Calming key pads and hand-drum heavy beats combine with smooth sub-bass and swelling snatches of the original cut. It’s a lovely remix, showing the depth of deep house through its continuing global exchange of sound and ideas.